Post your #OOTD photo on Facebook or Instagram as you normally do by featuring Fashion Culture Box products. The Fashion Culture Box product must be visible in your photo. Contestants must use at least ONE (1) Fashion Culture Box product from any of our fashion box in their submission. Use the hashtag #fcbootd. Once we “like” your post, your photo is accepted in the contest. You can post as many post you wish within the contest period. TWO (2) outfits will be chosen to receive RM100 H&M Gift Card. The winner can be from ONE (1) same person or TWO (2) different persons. What if I never subscribe to Fashion Culture Box? What are the winning criteria? All submissions will be assessed based on ideas, creativity and originality. What is the deadline of the competition? All entries must be submitted between 1st October 2014 to 1st November 2014. Submissions after the date will not be entertained. Winner will be announced on Fashion Culture Box Facebook page on second week of November 2014. 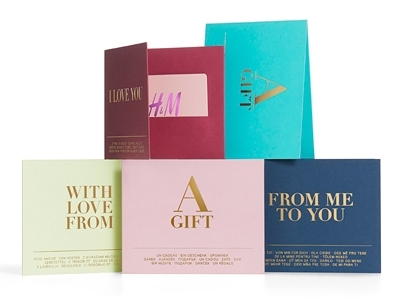 The H&M gift card can be use in any H&M store within Malaysia. The gift card can be use on multiple purchases (e.g. purchasing two RM50 transactions on two different visits), in full amount or part payment of purchase (e.g. purchasing RM120 by presenting the gift card and top up RM20 cash). The credit of the gift card is valid for 2 years from the issuing date. The credit of the gift card may not be exchanged for cash. The gift card cannot be replaced or refunded if lost or stolen. For the full contest terms & conditions, visit our contest page. Are you bored of your daily OOTD? Transforming mundane everyday outfit is easier than you thought. Adding bright colours to your outfit can instantly change your boring everyday look to a stylish trendsetter. Classic accessories that have a modern twist can also bring out those flattering accents in your outfit. What to expect from this fashion box? A simple, modern, effortless yet sophisticated look that you can wear everyday. Featured item of this box is an edgy studded clutch. Whether you are young or old, there’s a glamour touch live in every girl’s fashion taste. Matching a soft and tender fur coat with solid gold accessory can transform an ordinary girl-next-door into a diva. This fashion box prepares you to an extravagant experience in fashion with gold, diamonds and pearls. You don’t need a deep pocket to indulge in this look, all you need is the right pairing of accessories. Put on your best outfit and you’re ready to take over the red carpet. The featured item of this box is a gorgeous quilted handbag. Life is too short to live in the shadow. We suggest you take your life less serious and have fun. Throw in the young-at-heart attitude in your fashion sense and you’ll have more fun. Experiment with quirky motifs and splash of colours. . Every item is a conversational piece in this fashion box. This style is all about fun and being young. It also encourages you to be daring with your style, just like how you were back in sweet sixteen. You will find a trendy cropped top inside this fashion box.